Is Vandalism Affecting Your Charlottesville Business? Ignoring vandalism can encourage further acts and deter possible customers. It’s dark. The gate is just slightly open. A dark figure slips through the gate and circles around a small office building. A lone car drives by. But as the sound of the engine fades, so do the headlights and darkness returns to cover the hiding spot of the dark figure. There is a quiet hiss of aerosol for a few moments and then the figure disappears into the night and there is no one to see what has happened until the next morning. In the light of a chilly spring morning, you pull up to begin your work day and see the evidence of what happened the night before: the side of your office has been brightly tagged in paint. Thankfully, this doesn’t have to be the story of your place of work. You and your team can take steps to deter and hopefully prevent vandalism. To begin, make sure to keep the area around your business well-kept and clean. Well-manicured landscaping and a regularly maintained building can help deter vandalism. You can even use your landscaping to help protect otherwise easy-to-reach marks. Large bushes or plants that are prickly can be placed under and in front of windows and walls that could be targeted. You can also increase the security around your place of business. Secure gates and entrances to make it harder to enter the premises and keep the area well-lit. You can also add motion-sensor lights or security systems. If you are the victim of vandalism, make sure to clean up the damage as soon as possible to discourage additional vandalism. 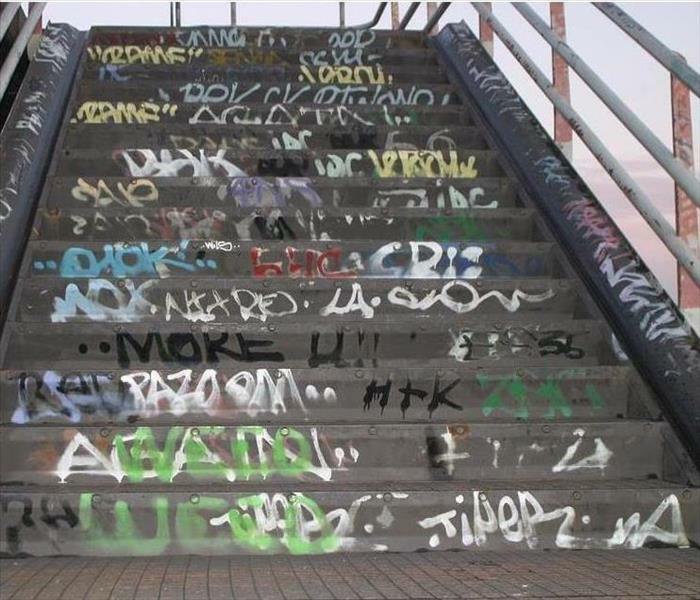 Steps to clean up vandalism vary greatly depending on the kind. The simplest to clean are cases involving eggs and toilet paper. To clean egg, you will want to act as quickly as possible. Use a garden hose or a combination of soapy water to clean egg off the side of a building or a car. Avoid using a power washer as this can remove paint and damage siding. Toilet paper can persist if you try to pull it down. Instead, use a leaf blower or a long implement like a pool net to gently lift the toilet paper off tree branches and buildings. Other cases, not as easily remedied, can involve paint or broken windows. If there is broken glass, be very careful to pick up all large pieces and vacuum up any smaller pieces left behind. If there is paint, be very careful with any home remedies as many paint removing products can also harm the materials under the paint, like siding and masonry. If you have any questions about graffiti removal or vandalism cleanup, give our office a call or like us on Facebook to be updated on more tips and tricks like this. Confidence in Your Sump Pump? It’s Possible. This Charlottesville basement didn’t have a sump pump at all. Our team used portable pumps to begin extraction. Basements can be creepy. They creak. Often furnaces or dryers are down there making weird noises, and no matter how many lamps and lights are down there, they are still dim with just a few too many shadows. A concrete hole with water in it and an oddly shaped machine that seems to turn on of its own accord doesn’t help a basement’s reputation. Never the less, sump pumps are extremely important if you want to avoid squishy feet and water stains up the walls. 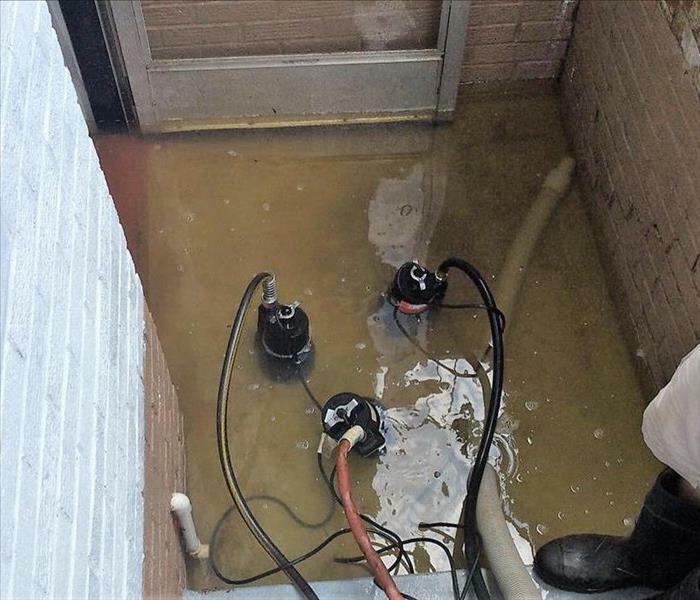 Many calls that we receive about flooded basements begin with sump pump failure. In the middle of the night, you shouldn’t be worried that your sump pump will fail. You had it installed so that you would have peace of mind during a storm, but the reality is that many sump pumps do fail. Here are a few tips to keep your sump pump running when you need it and for many years to come. 1. Consider a battery backup for your sump pump. In the event of a storm, if the electricity to your home is disrupted, a battery back up will allow your sump pump to run uninterrupted and prevent water and storm damage. 2. Do your research when choosing a pump and the person who will install it. Many sump pump failures come from an incorrectly sized pump. A pump that is too large will have to run too often and a pump that is too small might not be able to keep up with the amount of water in your basement. Similarly, pumps that are installed incorrectly can cause more problems than they prevent. Sump pumps have many precautions in place to help prevent water back up or a power shortage. Regular maintenance including checks and cleaning help to prolong the life of your sump pump. 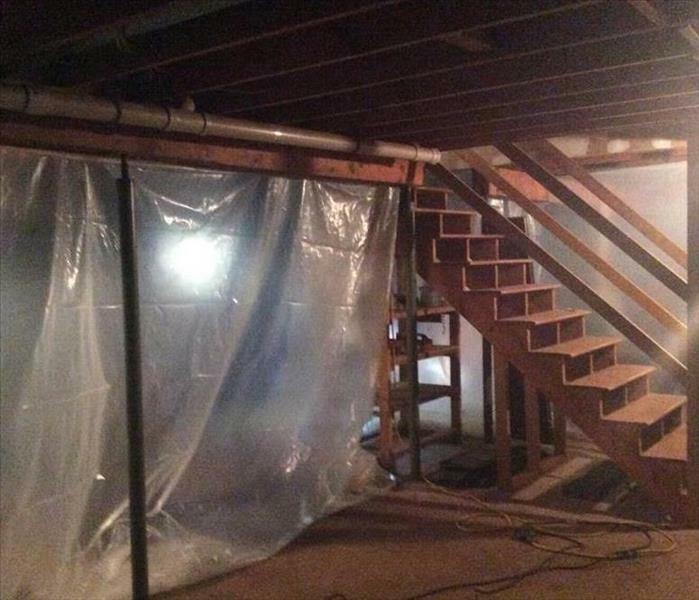 This practice will also help uncover problems before those problems cover your basement in water. These tips provide a great base to a better sump pump that will help prevent a basement flood and give you more peace of mind when the thunder rumbles. If, however, something should happen, stay calm: SERVPRO of Charlottesville is Here to Help. A shot from our production room, we see our green wall and are reminded of the importance of the whole team each day we come to work. Here at SERVPRO of Charlottesville, we love green. As such, we get pretty psyched up about St. Patty’s day. The green hats, beads, and decorations, it’s great. But to us, green is more than just festive. It’s a representation of who we are as a team. We are proud of our team and we work hard to cultivate a sense of belonging and instill a sense of pride into the work that we compete. 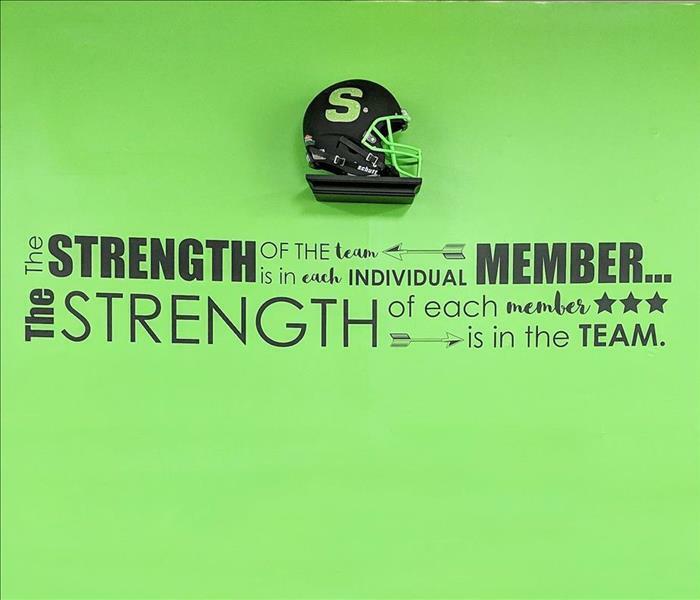 Green is part of what visually unites us as a team and a family. Cleanup & Restoration is a surprisingly personal business, as our customers invite us into their homes and businesses during experiences that are already stressful. We work to make this experience positive by taking the same pride in our work as we would in our own homes or businesses. We like to use the green as a symbol of this pride and comradery. The Day Starts in a Fire and Ends in a Water Damage? We recently received a call about a small grease fire in an apartment building. But we were not called in to restore the fire damage, that damage was minimal. We were called in because the fire had caused the sprinkler system to go off, causing water damage on three floors. In this situation, we were onsite that same evening, working to extract as much water as possible. While the fire was just in one unit, the sprinkler system affected the apartments directly under that apartment. This situation is more common than you would think. And while sprinkler systems are often localized so only the part near the fire will activate, residual water damage is sometimes hard to avoid. But what if there is an accidental activation? While these are rare, there are steps that you can take to prevent an accidental activation. Take care not to block sprinkler heads with boxes or furniture. Don’t paint over sprinkler heads so that the sensor isn’t compromised in any way. 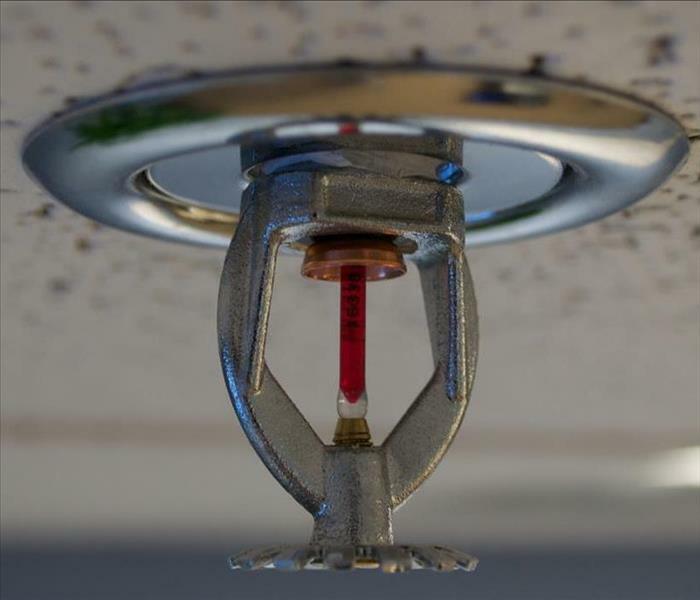 Because sprinklers are heat activated, they can be accidentally set off by direct light from a skylight or lamp. Either keep these heat sources away from sprinklers or use a sprinkler with a higher heat tolerance in areas where this may be a danger. Even with these precautions in place, accidents happen and so do fires. If you do have a sprinkler system activate, give us a call at 434-977-5850. We pulled in the generator as well as a full team to tackle this commercial loss. Our community is made of a diverse number of members. We strive to provide cleanup and restoration services wherever we are needed. As a pipe burst in your grandmother’s basement, and a sprinkler malfunction in a large office building require vastly different techniques for restoration, we have to be flexible and have differing strategies and tools in our arsenal, ready to use. Perhaps the most obvious difference between a commercial water loss and a residential loss, is the size of the damage. Almost always, a commercial loss will be bigger and require more equipment and manpower. We have a few strategies for these situations. We are consistently training our team members in more areas and with deeper knowledge, so that in a large loss event, each team member is able to work efficiently and independently, if needed. 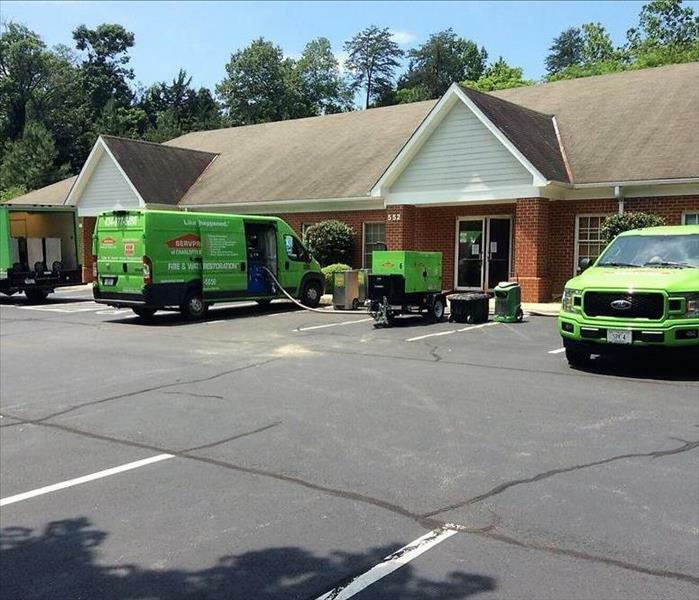 Additionally, we also have multiple SERVPRO locations close by that we can call upon for equipment and manpower. We work closely with our other franchisees and help each other out, especially in large loss situations. Time is of the essence and often having access to those extra dehumidifiers and air movers can make the difference! Furthermore, in a residential loss, the homeowner is often the only party involved. We can communicate with the homeowner daily and they are making all the decisions. There is also accordingly only one insurance agency with which we are communicating. In the case of a commercial loss, this is not always the case and we train our teams to be prepared for this possibility. For example, in the case of a water loss in an apartment building, there are multiple parties with a stake in the restoration. We need to communicate with the building owner. But if tenants’ belongings are also affected, they may need to file separate claims with their renter’s insurance. In this case, we are prepared to update and coordinate with multiple stakeholders throughout the process. In another scenario, we may be called in to a cleanup that needs to happen while a business is still operating. As a local business, we understand that in the event of a water damage, sometimes closing your doors for even a day is not an option. In these situations, we must modify our processes to allow for clear and safe walkways as well as minimal noise during working hours. We strive to approach these events as a partnership, so that we can minimize inconvenience without compromising the effectiveness of our drying strategies. Are You Ready to Remediate or Should You Test for Mold First? With protocol in hand, we can begin remediation, starting with containment as necessary. You walk downstairs to do laundry. It’s been a while since you’ve been down here. Oh no, what is that odor? It smells like your grandparents’ garage: musty. Does this mean you have mold? Should you call SERVPRO, whom you’ve heard so much about? While we love that instinct and we are happy to help with any of your mold remediation needs. You might want to personally evaluate the situation first. If you do call us in this situation, we will ask you a few questions. Can you see any growth? About how many square feet of growth is visible? Have you removed and stopped the moisture that instigated this growth? While these questions can be frustrating when you are panicked about possible mold in your home, they are important for us to provide you with the best and the correct care. Some situations, including mold over 10 square feet, suspect growth that isn’t visible and any questions about type of mold or health effects need to be answered by an industrial hygienist. As specialists in mold remediation, we do not currently have a certified Industrial Hygienist on staff to complete these types to mold testing. We strive to operate with our customers honestly and fairly. One of the ways we try to uphold this fairness, as well as avoiding any appearance of underhandedness, is in our partnership with a third-party industrial hygienist. We often refer customers to Star Environmental, they are a local company with environmental hygienists on staff. With this certification, Star Environmental can confirm the type and presence of mold growth in a structure as well as create a protocol for its remediation. With this protocol in hand, our technicians can safely and efficiently remediate the growth that may be present. This process streamlines identification and allows us to better focus on remediating the mold growth. Of course, as always, if you have any questions about our process or to set up an assessment, give us a call at 434-977-5850. 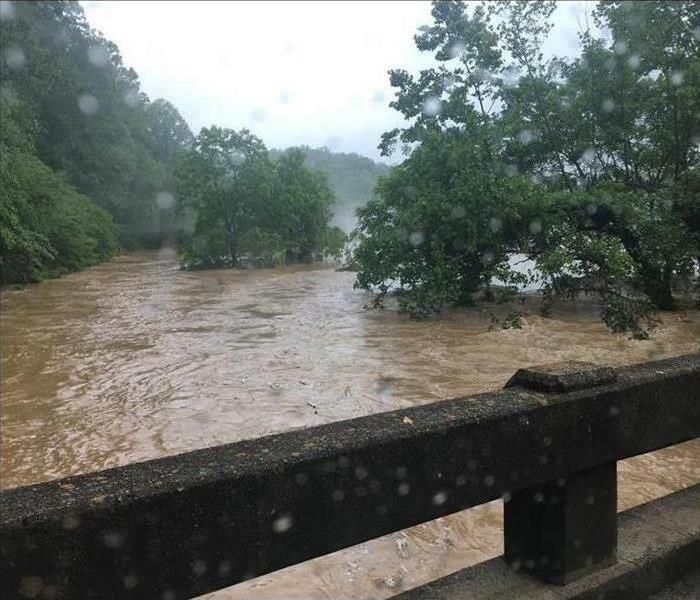 A recent flood swelled the Rivanna River well beyond its normal banks. My first car had a few problems. Mostly limited to a few rust spots, no A/C and some unidentified stains in the upholstery, I categorized most of my little car’s troubles as purely cosmetic. It had one flaw, though, that was less than cosmetic: the engine stalled whenever I drove through a puddle. Whenever I would wake up and hear the rain tapping the roof, I would wonder how many times my car would stall before I made it to school. Hopefully upon hearing the story of my struggling car, your reaction is, “Wow! That’s not safe. You really shouldn’t drive that car through any puddles at all!” This is the kind of uncertainty that we should all feel when faced with a flash flood. Flash floods can not only stall a car, but can also wash it away. If a flash flood could be coming your way, make sure that you know where is the safest place to be. You should locate high ground near you. Places like river beds and ditches are already designed to collect water and will be the first places to flood. You should secure items that could possibly be washed away and stock up on sandbags to help protect your home from the flood waters. If you do find yourself driving when a flash flood hits, do not drive through water of an unknown depth. It only takes 2 feet of water to wash away a car and flood waters can hide debris and other objects that may be blocking the road. If your car does stall during a flash flood, abandon the car and get to higher ground. The most dangerous part of flash floods is how quickly they can escalate, in some cases allowing only a few moments to get to a safe location. My sixteen-year-old self was not smart enough to avoid puddles in my struggling car. As adults, let us pass on the wisdom that it is worth it to avoid driving and walking through flood waters. One of the ways that we strive to offer the best service to our customers is through our equipment. We work to maintain, continually update, and replace equipment that is worn out or aging. We recently received new air scrubbers. Unlike a dehumidifier or an extractor— whose names are also their function— the air scrubber is more industry specific and we would love to share a little bit about what we use it for. 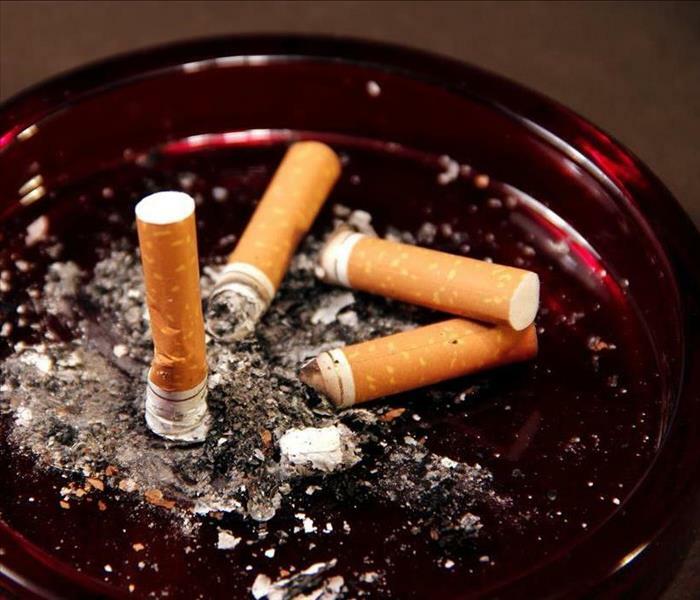 In many loss situations, whether it be water, fire, or mold damages, there are contaminants left behind in the air. While our technicians are working to remove and restore the damage on material pieces of a home or business, we can not forget about restoring the air as well. This is when we place an air scrubber. This piece of equipment works by passing the air inside a room through three filters to remove contaminants and small particles. During a water damage, especially one caused by a storm where the water could possibly be filled with dangerous materials, we might employ an air scrubber. As we dry the structure and affected items in this situation, we would use air movers and dehumidifiers to help dry out the structure more quickly. While in use, these machines can also stir up dust and particulates. In this situation, an air scrubber can be employed to keep these contaminants to a minimum and return the affected area to its preloss condition more quickly. 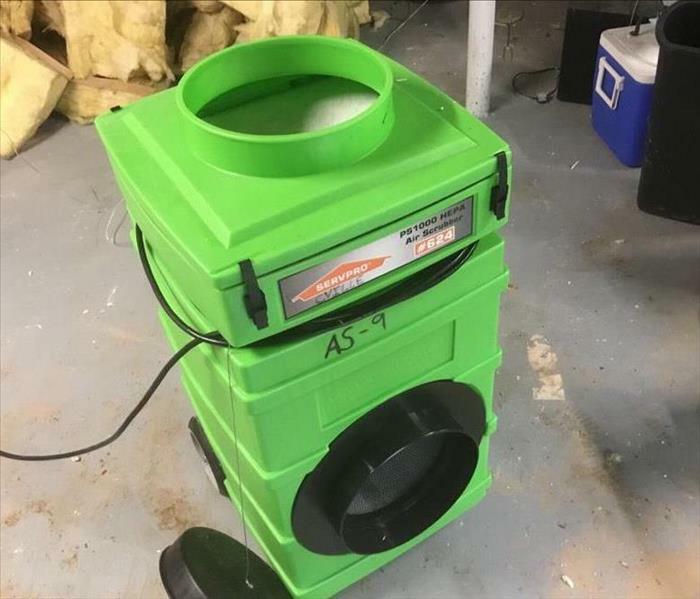 Especially in situations where damage has been caused by sewage or a sewer line back up, air scrubbers are essential to help remove left over contaminants from the air. Any sort of movement or disturbance can kick up particles into the air. We use these air scrubbers to make sure that as we are cleaning the surfaces, the air isn’t retaining any particulates that could leave behind germs or odors. While restoring an area that has been affected by mold, we will also place air scrubbers. Mold spores are always present in the air. In an area with visible mold growth, a higher mold spore count is also present in the air. As such, while we work to remove the visible mold and prevent more growth, we also remove these spores from the air. Pipes that are outdoors or in areas that are poorly insulated are often the first to freeze. The holidays have come and gone, but winter is still here for a few more months and one of the seasons with the most water damage is still to come. With the colder months, comes the risk of frozen pipes and the danger that those pipes could burst. 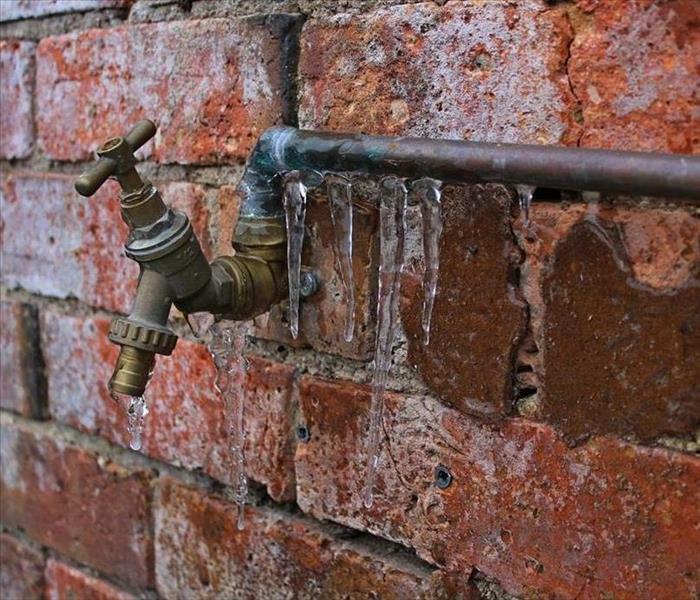 Thankfully frozen pipes are easily prevented. One of the simplest methods to prevent pipes from freezing is to increase the warm air circulation around the pipes at risk. For example, if there are water pipes in the garage that you are concerned about, close the garage door. You can also open cabinet and closet doors to allow warm air flow around water supply lines. Additionally, moving water is not as quick to freeze as stagnant, so allowing even a small trickle of water to flow from sinks and showers can help keep the pipes unfrozen. If you are planning to be out of town, try not to leave your thermostat lower than 55 degrees, as temperatures lower than this can raise the risk of a frozen pipe and the resulting water damage. For a longer lasting solution to this problem, you can also consider adding insulation to pipes that may be exposed to extreme cold. Pipes in the garage or in the exterior walls that don’t have sufficient insulation could be at risk. Solutions for this could be as simple as wrapping towels or newspaper around the pipes at risk to help mitigate the lower temperatures. You can also add insulation to the surrounding areas, which could mean caulking and closing holes or cracks that are allowing the cold are in. However, you will want to make sure that your repairs are not inadvertently closing the pipes off from the heat source instead of the cold outside air. Recently, I was at a home where the pipes had frozen because a contractor had closed up a hole in the back of the cabinets that summer. Once the cold temperatures of winter hit, the warm air from the kitchen could no longer reach the pipes in the wall and they froze. If you do turn on a sink or shower and no water comes out, this could mean a frozen pipe. In this situation, you do have a few options to thaw the pipe and hopefully avoid the subsequent water damage. While you work to thaw the pipe, keep the faucet on. This will let you know when the pipe is thawed and the flowing water will help to speed up the process. You can use a heating pad or heated blanket to begin thawing the frozen area. You could also try a hair dryer or space heater. You just want to be sure not to use any kind of open flame to thaw the pipe. As water begins flowing you are almost there but keep applying heat until water pressure is back to normal. Allowing ice to sit untended in your pipes for too long gives the ice time to expand and possibly burst the pipe. Avoid this water damage and act now, before the pipes freeze, and hopefully your home will have a warm and dry winter. However, if something does happen, give us a call at 434-977-5850. We are always here to help. 3/27/2019 - Is Vandalism Affecting Your Charlottesville Business? 3/20/2019 - Confidence in Your Sump Pump? It’s Possible. 3/6/2019 - The Day Starts in a Fire and Ends in a Water Damage? 1/30/2019 - Are You Ready to Remediate or Should You Test for Mold First?